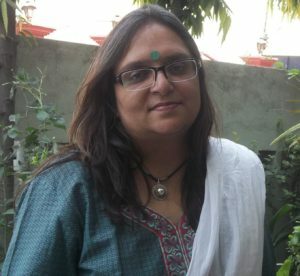 Ramnita Saini Sharda is an Associate Professor of English at Hans Raj Mahila Maha Vidyalaya Jalandhar. She is also the Dean Innovation at her institution. She has organized many regional, National and International conferences at her college as Convener and Organizing Secretary. She was part of the eighteen member delegation for Africa under the GIAN (Global Initiative for Academic Networks) Programme of GNDU Amritsar and actively participated in the presentations in Ethiopia and Kenya in 2006. She was an invited panelist at Himalayan Conference organized at Yale University, New Haven, Connecticut, USA, in March 2014. Ramnita has presented many papers at various national and international conferences and published her research in various National and International journals. Her area of interest is Poetry, Media, Ecology, Medieval Literature, Translation and Gender Studies. She has translated plays from Punjabi into English as part of the Punjabi Sahitya Academy project and worked on subtitles of the digital production of Punjabi Play as part of a Punjabi University Patiala’s project. She has also given subtitles to the first Punjabi Film made in Hollywood, “Dheeyan Marjaniyan”, the film was widely acclaimed and has won seven international awards. Ramnita is passionate about ecology, gender issues and translation. She is also a poet and has published an Anthology of her poems. She has been appointed as the Joint Secretary of FSLE-India for the Punjab Region.